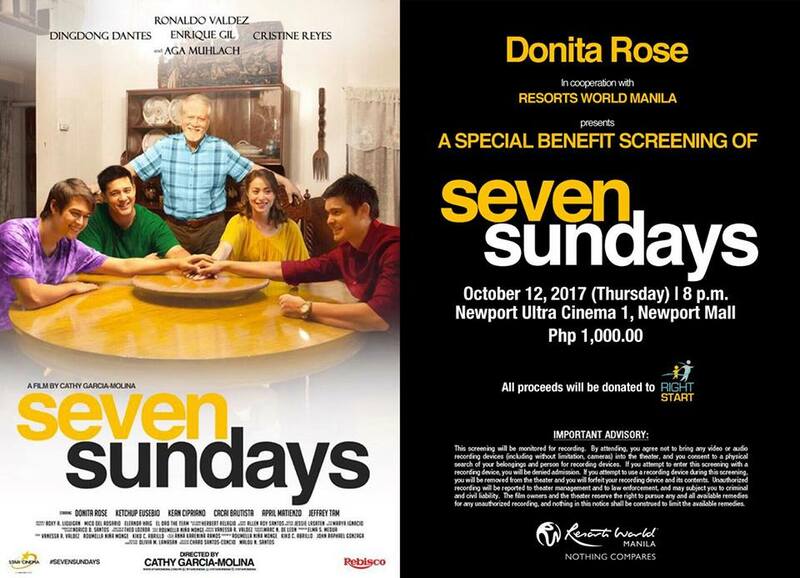 It was such a fitting movie to take on for Donita with a partnership with Resorts World Manila since it is for the benefit of Right Start. 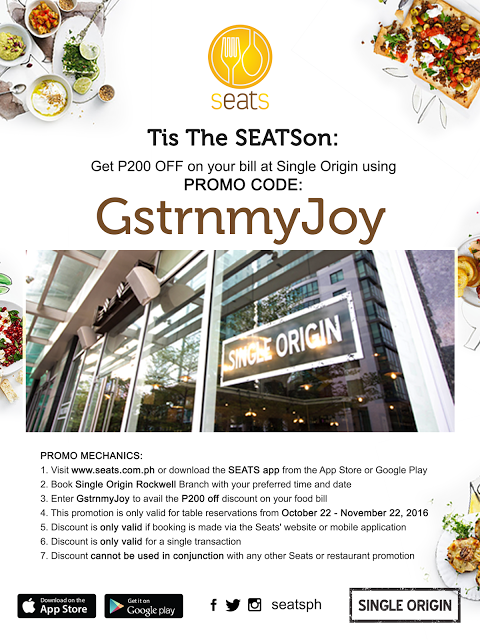 I first heard of Right Start when I attended RWM's #LoveDish event. 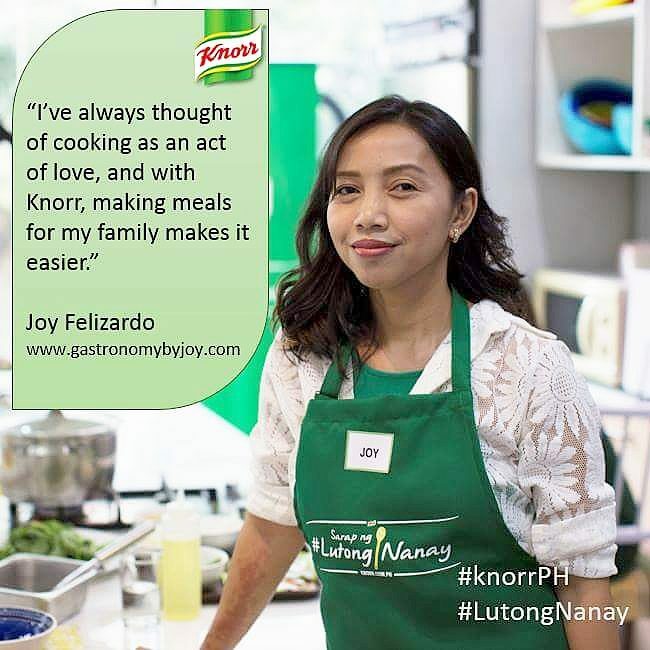 It was when 8 celebrities showed their skills in cooking and baking, and their passion for giving back, along with two other beneficiaries, Right Start was one of them. During the special premiere of Seven Sundays, Acel Bisa – van Ommen, co-founder of Right Start, with a teary-eye spoke about the heart of the foundation, and their goal of helping the less fortunate children develop into better members of the society, uplifting them and teaching them in the ways of the Lord. She ended with the old saying "Give a Man a Fish, and You Feed Him for a Day. Teach a Man To Fish, and You Feed Him for a Lifetime," as to how she'd want to summarize their goals for the children they support. 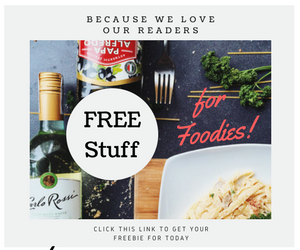 Donita, on the other hand, has extended more efforts to raise better awareness for the Love Dish project, so that more people could try out the dishes, and of course to raise more funds for the beneficiaries. To add to that, she's very grateful for Resorts World's generosity to help out the different organizations. 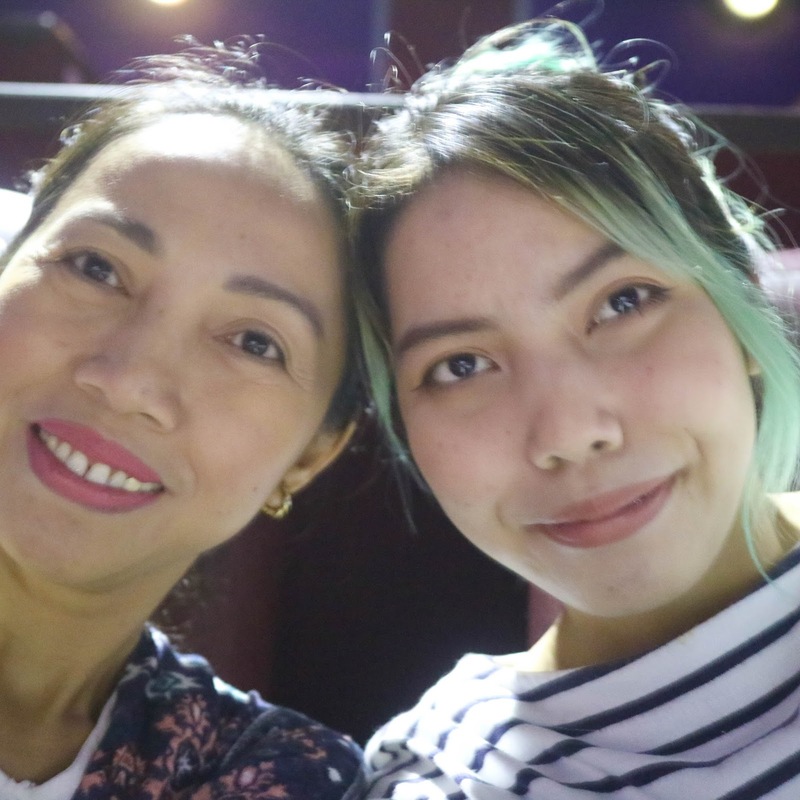 She was particularly excited as Seven Sundays is her first movie in 14 years (jokingly butting in with her being the "bida" of the movie) and she believes in the importance of family. "You can choose your place of residence, you can choose your friends, you can choose your career but can never choose your family. And every family that you're born into has problems, there is no such thing as perfect family, so if, this is the family that God has given you, you should embrace what you have. Learn to forgive, because love covers a multitude of sins." Well, with that, she perfectly summarised the movie without spoiling the heck out it. It will tug your heartstrings as it did to mine, and my daughter was able to connect with the movies' messages, as well. I actually went to the washroom to steal a couple of tissues as there were pretty serious emotional scenes that made me remember the past. 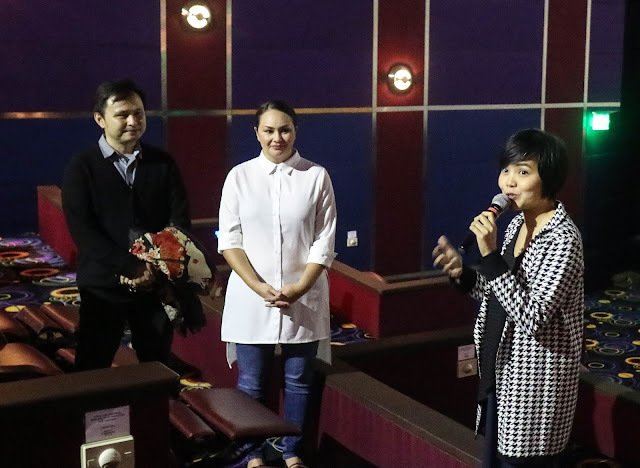 The movie conveys typical hardships, triumphs, and sacrifices every Filipino families go through. It tackles life issues such as getting cancer, death, relationships and a whole list involved with the family. And in the end, whatever happens, as long as one accepts his or her shortcomings and realizes what matters the most to get you through life, setting aside differences and egos, and thinking of succeeding over challenges is through forgiveness and love, just like what Donita Rose have said above. This movie ought to be watched by all, though dramatic (or was I just too emotional), there are funny and light scenes too, we all will learn a thing or two about relationships, just like what Lilo and Stitch hold on to-nobody gets left behind or forgotten. 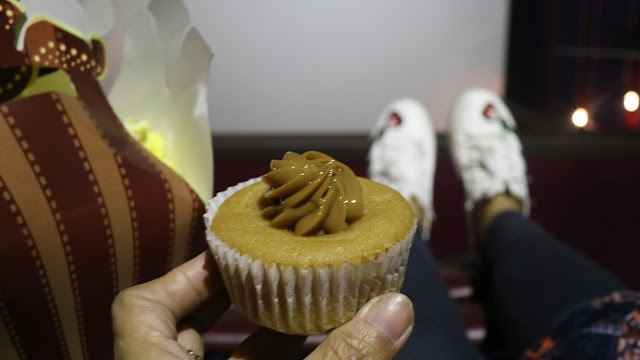 My daughter and I not only loved the movie, we also loved the luxurious experience at the Newport Ultra cinema- watching on a lazy boy being served with popcorn and soft drinks, and with a Peanut Butter Cupcake from Cafe Maxims. 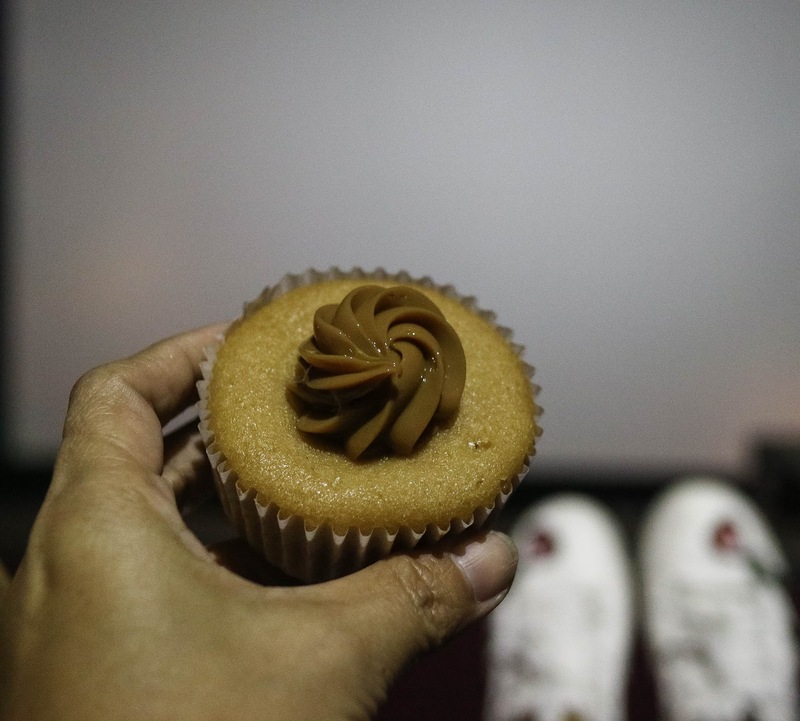 The pastry isn't actually part of the cinema experience, but you can always customize it to your cravings, so might as well bring a box of this in the cinemas, in that way, you can also support the said worthy project. This soft and airy cupcake is Mark Bautista's very own recipe, and is one of the #LoveDish featured food. 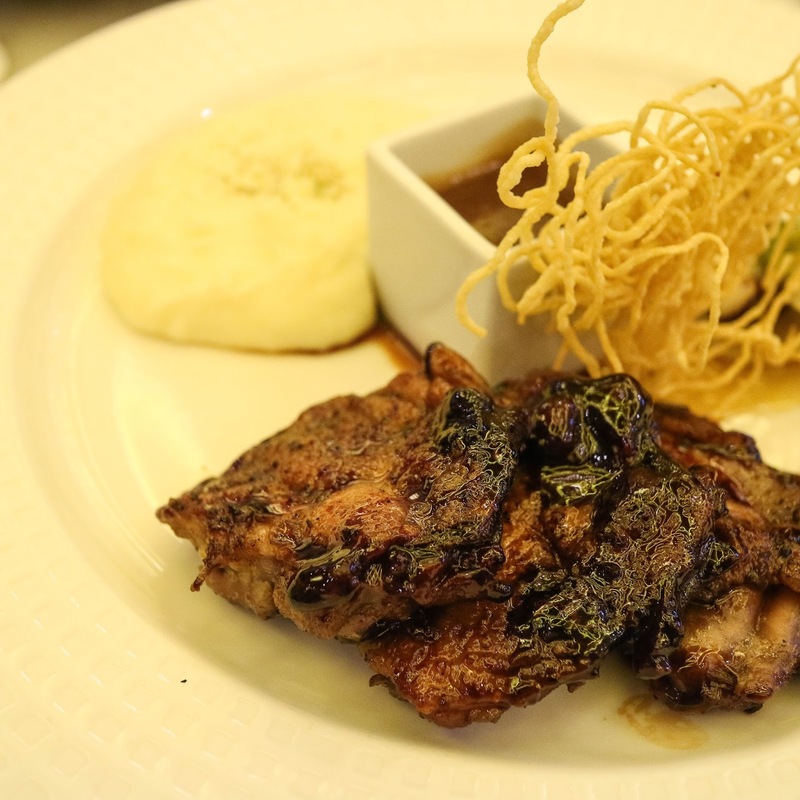 Let me also share you our pre-movie experience, a dinner at Cafe Maxims with another #LoveDish-Meg Imperial's Parmesan-crusted Chicken Breast. 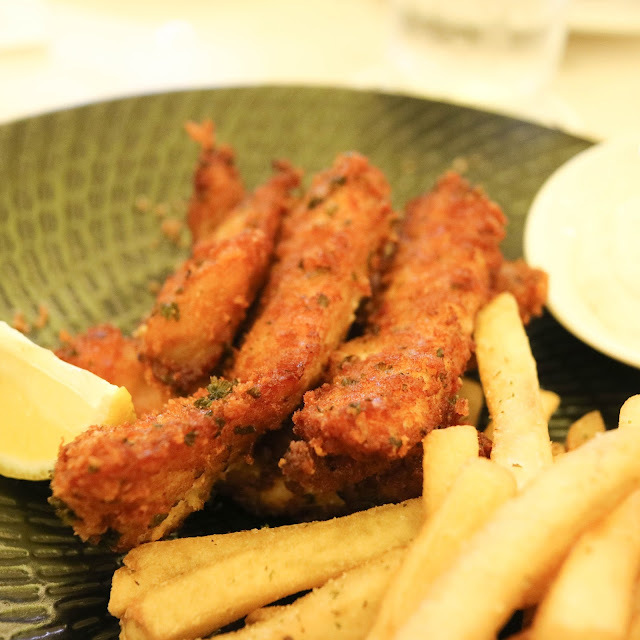 These crunchy fried chicken fingers are best with any healthy smoothies and beers and eaten as an appetizer or finger food over good conversations with friends. 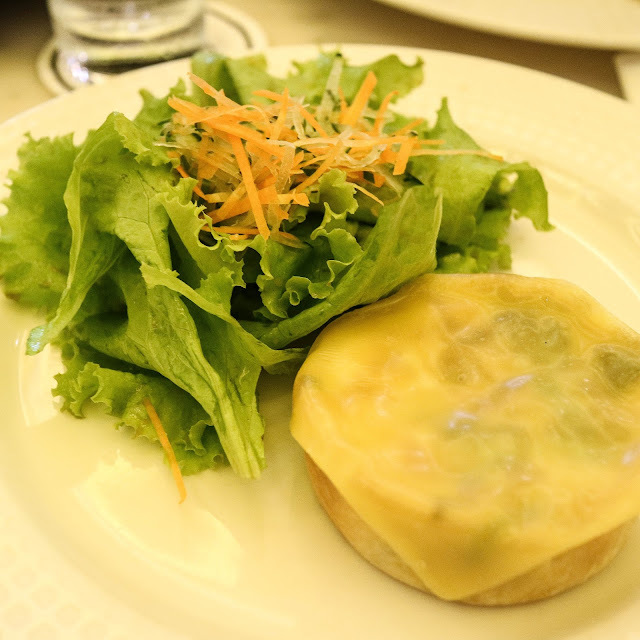 And other must-try plate sets at Cafe Maxims. Grilled Chicken Breast with Mushroom Sauce and Mashed Potato. Beef and Mushroom Quiche with Salad Greens. It was a night of comfort from food and the #RWMexpereince. 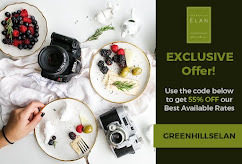 For more information about the #LoveDish, visit www.rwmanila.com/promotions/dining/love-dish and to get involved with Right Start, go to http://rightstart.ph/.